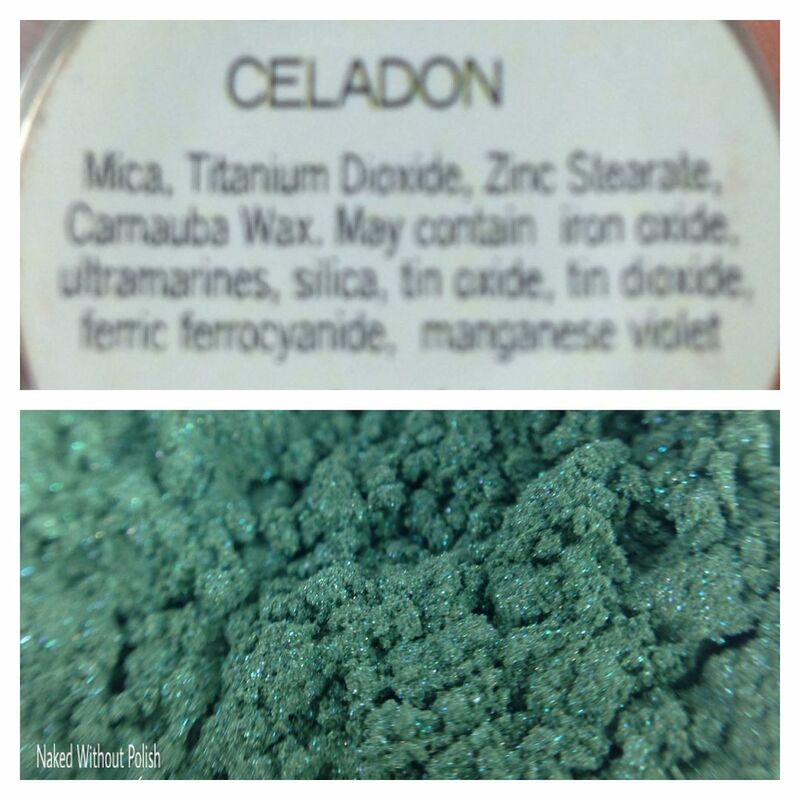 Celedon is described as a "blue-ish/green shimmer". I would describe Celedon as a blue-toned, forest green with a dusting of shimmer. 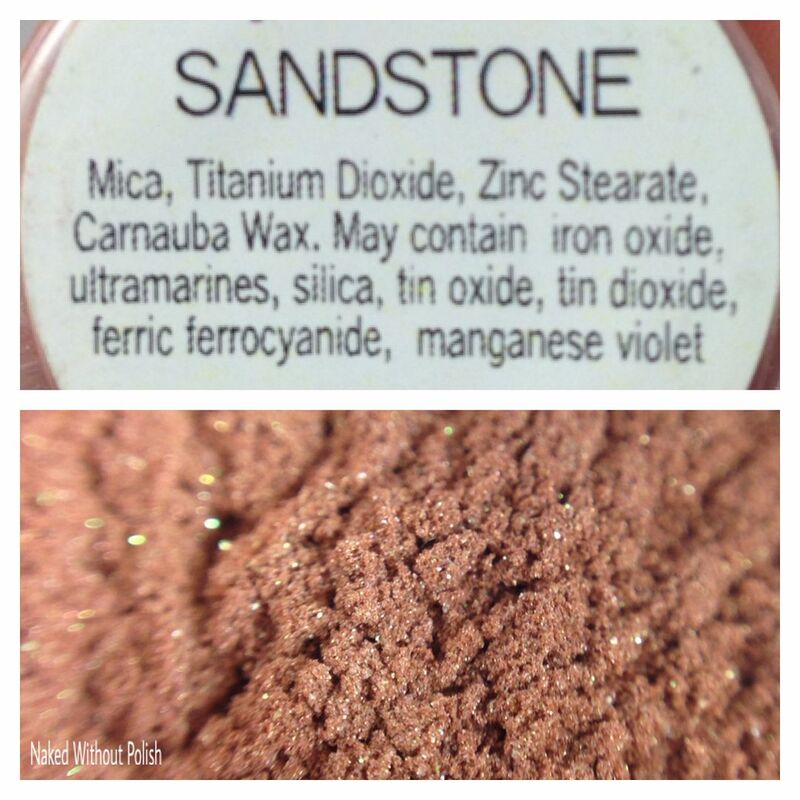 Sandstone is described as a "golden orange/pink/peach shimmer". I would describe Sandstone as a soft, peach-toned, terracotta with a dusting of shimmer. 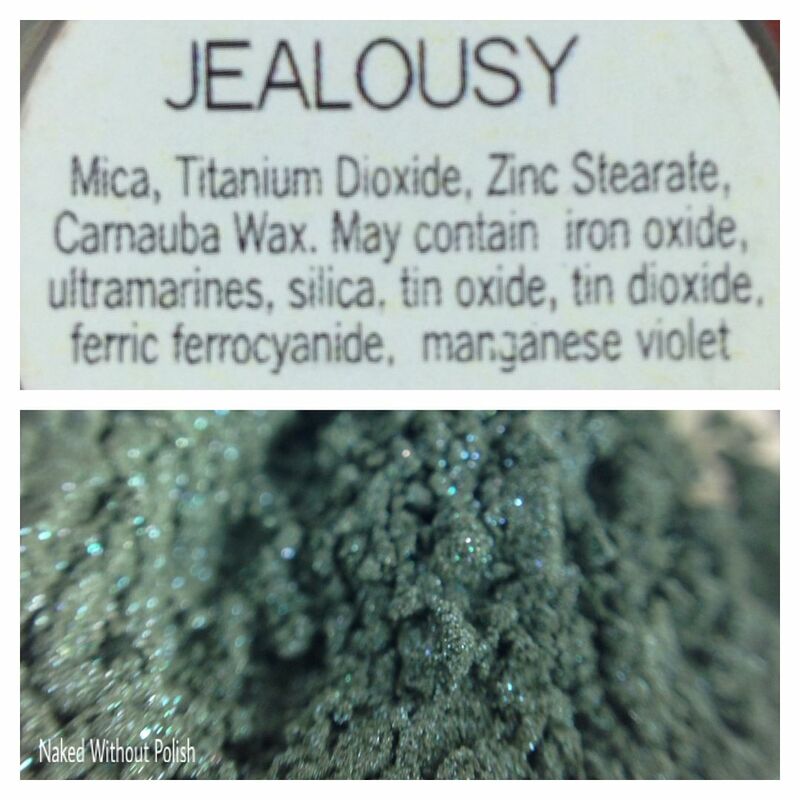 Jealousy is described as a "green shimmer with blue undertone". 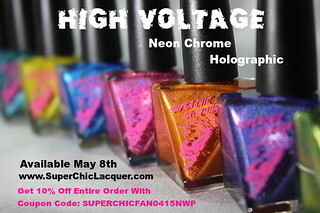 I would describe Jealousy as a rich, pine green with slight blue undertones and a dusting of shimmer. 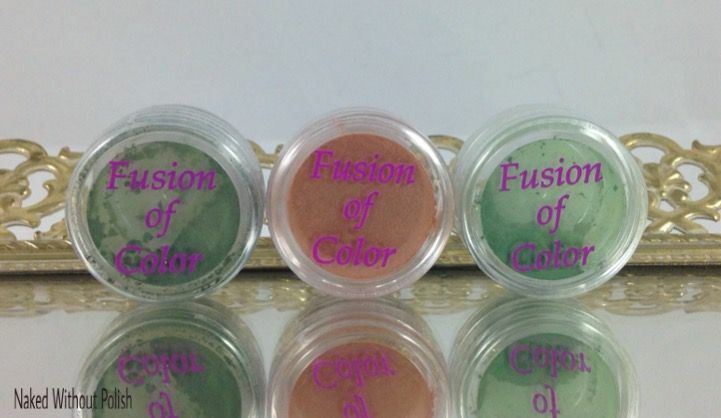 Fusion of Color Cosmetics is a creates it's products from "real minerals taken directly from the earth". 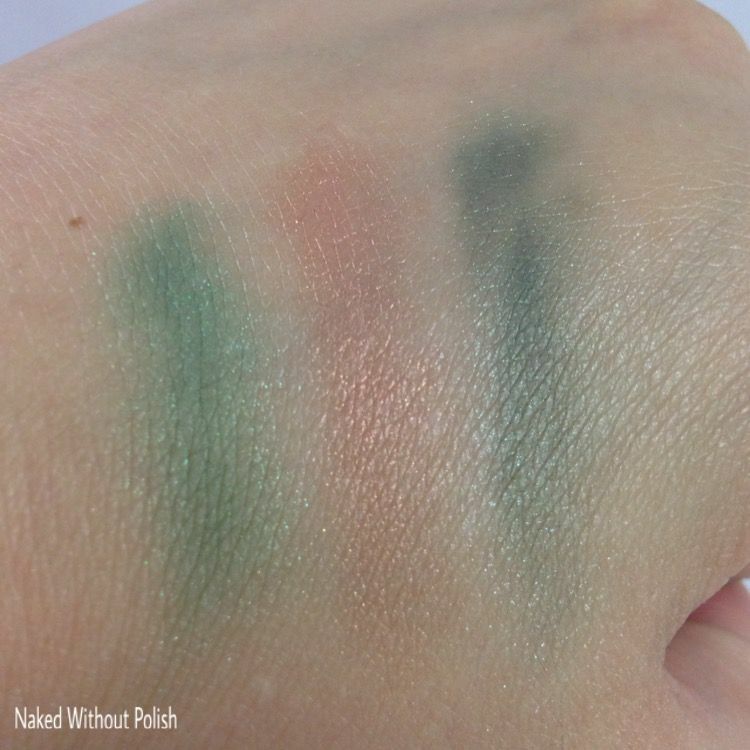 Each of these was beautifully pigmented. I used the smallest amount on a soft-bristled brush to apply these to my hand. Celadon and Sandstone applied a bit smoother than Jealousy, but the colors are absolutely lovely. 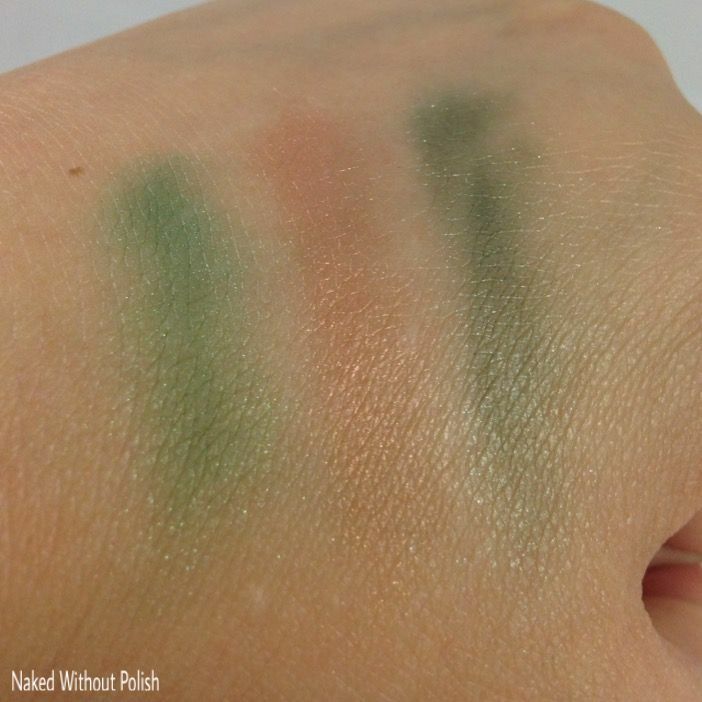 Celadon, Sandstone, and Jealousy are all new colors from the six new shades they've added to their line for Fall 2015. 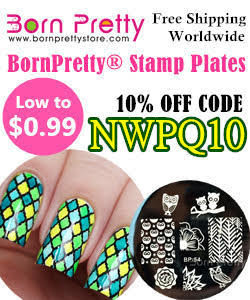 The other colors are: Vine, Leaf, and Esmeralda. Each pot is $4.85, and you can choose for the pot to come with or without the sifter. I love these and can't wait to get more use out of them. I'll definitely be checking out more from Fusion of Color Cosmetics too. 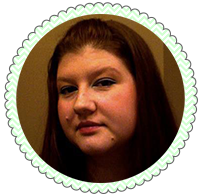 In addition to the eyeshadow, they have care products, face powder, eye liners, brow products, blush, and lip products. Everything looks absolutely beautiful.